» The Compleat GRACE MILLER WHITE. 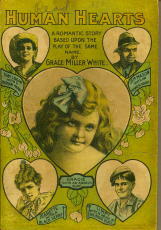 The Compleat GRACE MILLER WHITE. This is the second in a series of checklists compiled by Victor Berch of turn-of-last-century authors whose careers consisted largely of novelizing plays having varying degrees of criminous content. The first was Helen Burrell Gibson D’Apery, 1842-1915, who wrote as Olive Harper. 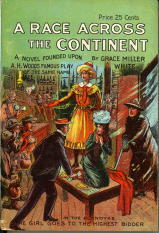 The author of interest this time around is Grace Miller White, 1868-1957, who wrote an even longer list of such novelizations, as you’ll see in a moment, all within the very narrow time frame of 1901 to 1907. In the checklist that follows, no dashes are included. By the time this information is incorporated into the online Addenda to the Revised Crime Fiction IV, such indications of lesser crime content will have been determined and included. 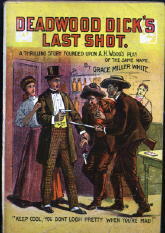 Custer’s Last Fight (Ogilvie,1905, pb) Novelization of play in 4 acts by [James] Hal[leck] Reid. 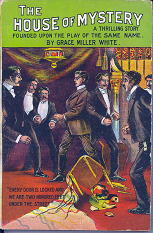 Also contains two Sherlock Holmes stories by A. Conan Doyle. 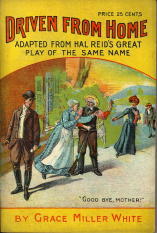 Dangers of a Working Girl (Ogilvie,1904, pb) Novelization of play in 4 acts by Martin Hurley, pseud of Owen Davis. Originally titled Dealers in White Women. 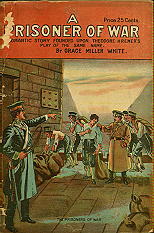 A Prisoner of War (Ogilvie,1904, pb) Novelization of play in 4 acts by Theodore Kremer. 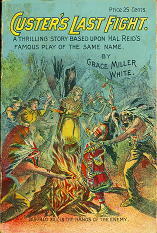 Grace Miller White was born in Ithaca, NY in 1868. Elaine, thanks for the input. The year you say she was born agrees with the one we already had for her. Dates as to when authors were born, even official ones, are often in conflict with each other, especially in the 1800s on through the first third of the 1900s. Even census records cannot be relied upon with 100% accuracy, as Victor’s pointed out to me as he’s come across them. I don’t know if he previously knew where she was born, so a special thanks for that! Steve – I am interested in knowing where you found the death date of 1957 for Grace Miller White? She was my husband’s gr-grandmother, and we have not been able to find documentation of a death date on her. 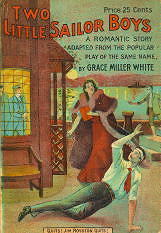 WHITE, GRACE MILLER. 1868-1957. Name at birth: Mary Esther Miller. She adopted the name Grace around 1897 in honor of her younger sister Grace, who died within a year of birth in 1873. Her first husband was Homer White; she later married Friend H. Miller, an attorney in her home town of Ithaca NY. 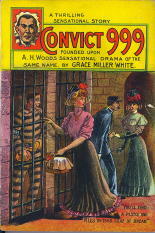 Early in her writing career, the author specialized in novelizing plays, many of them crime-related. 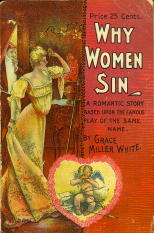 Grace Miller White later became well known as the author of such romance novels as Tess of the Storm Country (1909) and From the Valley of the Missing (1911). The links lead to an online etexts for each book. Hi, Grace Miller White is my Great Great Aunt. She was my mother’s father’s father’s sister if that’s not too confusing. If Christy is interested I have a complete family tree on my computer. My Uncle Art was the family genealogist and did extensive research. How extraordinary! 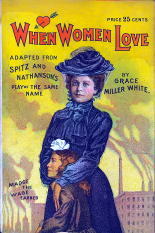 In my extensive knowledge of thousands of literary and show business people, Grace Miller White is the only person I know of who married someone with the same birth surname as herself. And in her home town too! Maybe there were a lot of Millers in Ithaca. Maybe he was a distant relative. 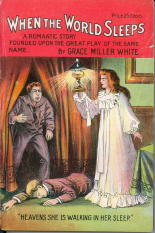 My question is – Where is Grace Miller White buried and what happened to her after she was finished writing? AND…another question, of course, from what I know, two three silent films were made from her novels – “Tess of the Storm Country”, “The Secret of the Storm Country” and “Judy of Rogues Harbor” Does anyone know if these films still exist? Thanks, any information would be appreciated because I have always been curious. “Tess of the Storm Country”. I essentially asked him whether his father had ever talked about Grace with him? Although he was quite familiar with her name and his father’s work on the movie, he had no specific recollections about his father mentioning her. For the benefit of everyone reading this, and with an assist from IMDB for helping me be sure I have the facts straight, Craig is referring to the 1914 silent film TESS OF THE STORM COUNTRY, starring Mary Pickford. B.P. Schulberg, Budd’s father and later head of Paramount Pictures in the 1930s, was the screenwriter for the film. 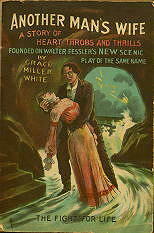 I found this fascinating, I had always been told that Grace Miller White was a professional ghost writer, at least that is the family history, she is the Godmother of one of my aunts, as a Great Aunt married into the Miller family. Oddly enough the family member who told me this about her ghostwriting, was not aware of her history other than she was always nice when she came to visit, and brought a crumb cake, which the kids impatiently waited for when the adults were ready to serve this. Sasha Gardner wrote that she has a family history of the Miller family, I am trying to trace some information on that branch of the family, and would be interested. 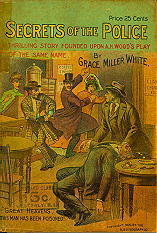 I think I may have found an earlier “career” for Grace Miller White, as well as a more complicated family story, but I need to put my pieces into a more detailed (read “dated”) version of the bio here. I think that in 1900 she was in NYC with the children, working for the Republican party as writer and editor and speaking at campaign events aimed at Republican women. In that capacity she invited Elizabeth Cady Stanton to join her work, and that’s how I (editing Stanton’s papers) encountered Grace White. Would someone who knows the sources underlying the bio on this site get in touch? I’m happy to share what I have, though I’m still uncertain that it all hooks up. If you could share whatever information you have, I would appreciate an email back. I found a census that proves she was indeed in Manhattan early in the century. Would be interested in any further information you and anyone could provide asap. The person you are referring to is actually Elizabeth Smith Miller, not Grace White Miller. They were both in NYC during that period, however! I certainly do not mean Elizabeth Smith Miller. I’m very familiar with her life, and she was never a Republican party hack. The Grace White who worked for the party in the 1900 presidential election was described by the New York Times as having a sister named Dora Miller. I’ve not yet found either of them in the 1900 census or in city directories. In a speech by Grace White reported by the Times, she refers to her time “out west.” In 1900, this could mean anything from Syracuse to Buffalo, from Harrisburg to Pittsburgh, across the Midwest, and maybe, just maybe into the areas we would now call the West while standing in New York City. But you can see how that reference fits well with the Grace Miller White narrative. I am a film historian working on Tess of the Storm Country–novel, play, and films. 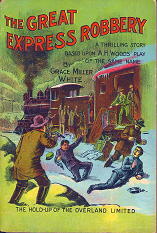 I would appreciate any information or sources about Grace Miller White, especially about any political work she did. Grace Miller White is my great grandmother. My mothers father, was David E. White, one of her children. She died the year I was born 1957. Ann Gordon is correct. Grace Miller White was indeed in NY in the early 1900’s and did write and give speeches for the Republican party, beginning with the campaign of William McKinley. I’ve got an old article from the New York Sun that describes this time in her life. (Years later she switched to the Democrat party.) 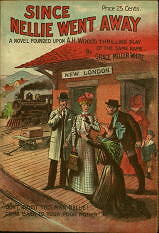 Her time “out west” referenced the few years she spent in Butte, Montana in the 1890’s while married to her 1st husband Homer White. 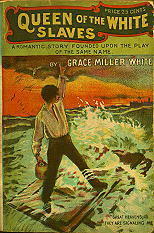 Does anyone know if Grace Miller White was related to T.G Miller who owned T.G. Miller’s office supply store for many years in Ithaca. His wife was my maternal Great Aunt, Ruth Tompkins Miller. Joan Apthorp, yes she was related to T.G. Miller and to the 9th mayor of Ithaca, George Miller. Grace Miller White is my second or third great aunt. And she did write speeches for McKinley. When asked if she had writing experience she lied and said she did, then took herself through school while writing and giving political speeches. Then she started writing pulp fiction in magazines and then the novels she is popular for. A very bold and unconventional woman for her time. If anyone is interested in talking about genealogy of Grace Miller White or her relatives, my ancestry.com user name is sdgmilwat. Feel free to message me and we can talk family trees. I am the greatgrandson of Mayor (Ithaca) George Miller. I grew up in Ithaca, still live here near the “Rhine” as do my 3 children and granddaughters. My Aunt Pauline Miller Rogers is still with us at 96. I will be asking her about any memories of Grace. I do remember her or my father saying that Grace Miller White was embarrassing. Of course! The mayor’s family would have been part of the hoity-toity class worried about being related to that “troublesome woman”. I don’t think GMW was welcome too often to the dinner table. I would have loved to meet her as would my family.